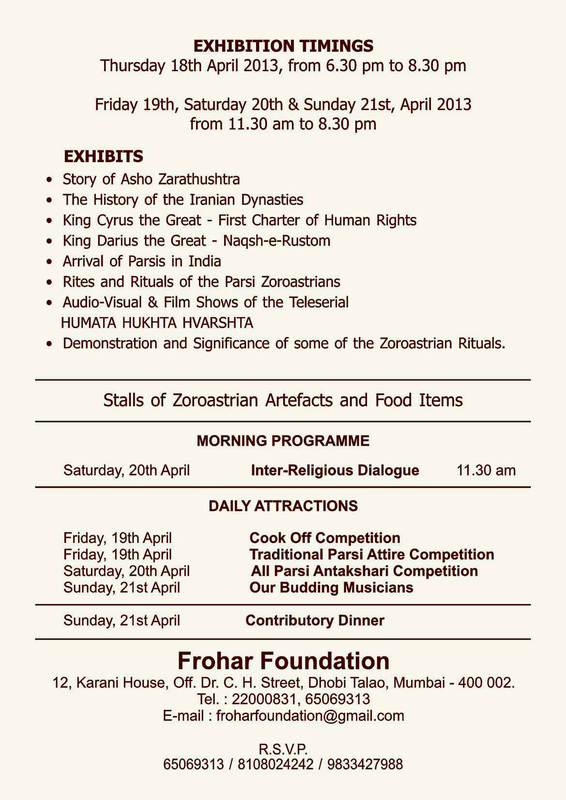 The Frohar Foundation of Mumbai is holding its annual exhibition at Albless Baug from 18th to 21st april, 2013. It is really an exhibition worth viewing, even if you have attended it previously, as they keep adding new items every year. 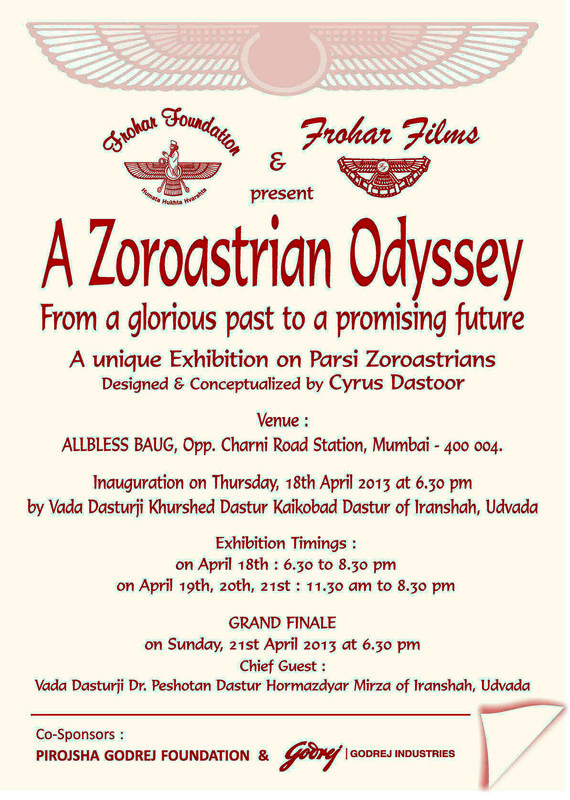 A must visit for Parsis and Non-parsees. For more information, please click to enlarge the accompanying images!